Nomination day is looming. In just over a month - September 23 - those who are running in the municipal election will declare their intentions. It has seemed eerily quiet to date, as only two candidates for council (Ault and Doleman) and Mayor Blake have made it widely known they are running. 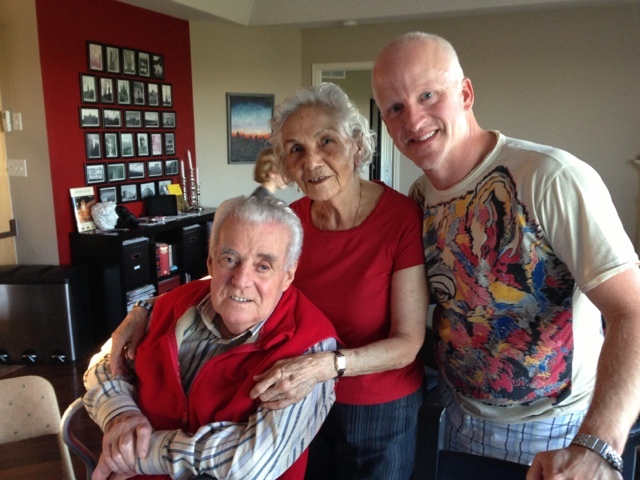 I enjoyed a great conversation about politics with my uncle and aunt while on vacation here in Ontario. Together, they ran an executive search and human resource consultancy business for decades in Montreal. He was the public face of the business; she was the welcoming committee. He was the talker; she was the quiet observer. Together, they were a formidable force that achieved great success for their clients. Connected with political movers and shakers having been in the corporate world since the 1960s, Uncle Joe was particularly fond of iconic names like Diefenbaker, Stansfield and Clark. He was also close to Mulroney, as they worked in the same office building and rode the elevator together. Over the decades, he has seen great leaders rise and he has seen them fall. He has witnessed the impact of human weakness and the crumbling of ethics and integrity. He has seen outstanding leadership at all levels of organizations and governments. While serving on Council these last three years, he has been a present yet distant observer, a moral compass, a seasoned advocate, an integrity indicator. Unbeknownst to me, Aunt Betty has been there too, as she always has been. "When making a decision," she began at a lunch visit the other day, "do you really take the best interests of everyone into account?" "How do you get their input? Do you talk to each and every one?" "Well, no," I sputtered. "But, I always make a decision based on what is in the interests of the greater good." She had me on the ropes, sweating, trying to formulate an answer that would get me back in the match. Uncle jumped in, seeing that I was on my last legs about to hit the mat, got the conversation moving in a different direction, and I was able to breathe a little easier. Heather was smirking with satisfaction to my right, knowing that my aunt had successfully pushed my buttons and taken me to the edge. She enjoyed watching me squirm. While it was uncomfortable being on the ropes, I was comfortable in the discomfort, painfully pleased that I was being pushed, questioned, challenged. There is no perfection in politics and leadership is learning. Every single time we are pushed to explain our decisions, defend our actions, take a position, absorb criticism, admit mistakes, feel intense discomfort, confront anger, admit defeat, we have the potential to become stronger. I say "potential" because an essential ingredient to gaining strength from these circumstances is taking the time to reflect on what we've learned, what we have yet to learn, and how we might need to change. I will never be as strong a leader today as I will be tomorrow. At least, I shouldn't be. So, while candidates, declared and otherwise, make their external election preparations - signs, websites, platforms and otherwise - I hope they take some time to make some internal character preparations. That is the stuff that will matter the most in the end.